Santa's sleigh may take a back seat this holiday season to the popular OHS Snuggle Express. A fleet of Snuggle Express vehicles, provided by Oregon City Subaru, will bring a cargo of cuddly kittens and precious puppies to visit select businesses and classrooms in the Portland metro area this December. Visits will take place on Dec. 10 – 12, 2019. Each Snuggle Express delivery will include an experienced OHS representative and a mix of puppies and kittens that can be cuddled by employees at participating businesses. 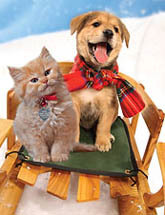 The puppy and kitten visits, which will last between 15 minutes to one hour on Dec. 11 and 12, aim to share the joy of companion animals, brighten the days of employees or relieve holiday stress, as well as help socialize the shelter pets themselves. The pets most often are available for adoption in the days following Snuggle Express. 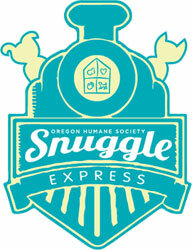 If your business can’t participate in Snuggle Express, consider sponsoring a visit to a local K-12 classroom instead! Businesses can also choose to sponsor a visit to another local business or non-profit organization. Because of the expected high demand for a visit from the Snuggle Express, interested businesses must submit requests during the online application period. If accepted, businesses will be notified of the day and approximate time of the visit. Businesses not selected will receive a refund of their initial donation. Businesses will be selected based on location, enabling Snuggle Express vehicles to make as many visits as possible. 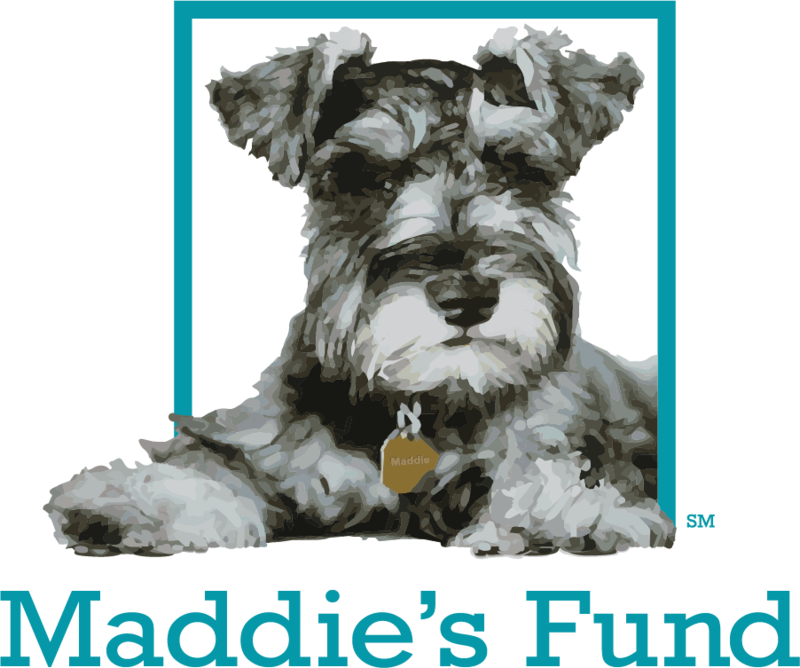 Businesses can guarantee a one-hour visit by kittens and puppies with a donation of $1,000. These businesses will also be able to select their day (Dec. 11 or 12) and morning or afternoon for a visit. OHS will accommodate as many 15-minute and 30-minute visits as possible. These are available for donations of $300 and $500, respectively. Share your Snuggle Express photos online using the hashtag #SnuggleExpress – we love seeing how happy these visits make everyone! To Participate: Requests for visits and payment must be made online when applications open in October. Businesses will be selected based on location. Businesses must have a suitable indoor area for puppies, kittens and visitors. The day and time of a visit will be based on location. Businesses that select an hour visit can designate which day and morning or afternoon. Business locations must be within the Portland metro area. All proceeds benefit the pets of OHS. Payment is due along with application. If OHS is unable to accommodate a visit at the specified time/date, a full refund will be issued. Sponsor Opportunities: Customize your package by contacting Sarah Yusavitz, (503) 416-7084 or [email protected]. How many kittens and puppies will be brought to my business? The number of kittens and puppies will depend on the quantity we have in the shelter at the time of the event. We expect to bring 2-3 puppies and 2-3 kittens to each location. One-hour visits receive double the kittens and puppies! What if my employees need more than 15 minutes of snuggling and can’t bear to see the pets leave? We request that you accurately anticipate your snuggle needs in your application. We need to fulfill many holiday wishes and must to stick to scheduled time limits to spread cheer to all. Can I adopt a kitten or puppy? Yes! All kittens and puppies will be available for adoption at the OHS shelter after the event. Holds and adoptions will not be permitted during the event due to time constraints. Will the pets be okay with so much traveling? All pets will be cared for by a trained OHS representative to ensure the puppies and kittens are safe, stress levels are low, and they have enough food, water, bathroom breaks and rest time. They will all be handled with love and care. How will businesses be selected for a visit? After reviewing all requests, we will select businesses that are in close geographic proximity to other applicants within the greater Portland metro area. This will allow us to visit the greatest number of locations in the least amount of time. This also means that some businesses that request a visit may not be selected. If a business is not selected, a full refund will be issued. For a $1,000 donation, a one-hour visit is guaranteed.